This spring at Louisiana begins with a blast full of colours, immersive images and sensuous dreamscapes. With the first major presentation in Denmark of Swiss artist Pipilotti Rist, the exhibition in the museum's South Wing presents the work of one of visual art’s most conspicuous researchers of the senses in moving pictures. 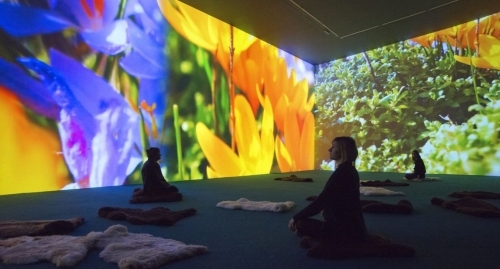 Since the middle of the 1980s Pipilotti Rist (f. 1962) has continuously explored, challenged and exploded the potentials, rules, conventions and limitations of a constantly evolving palette of video technologies. In her works, video is not just video, but also painting and space. For more information, please visit Louisiana Museum's website.